Photo: Location of one experimental plots in Frasera albomarginata. Eastern Mojave Vegetation Location of one experimental plots in Frasera albomarginata. 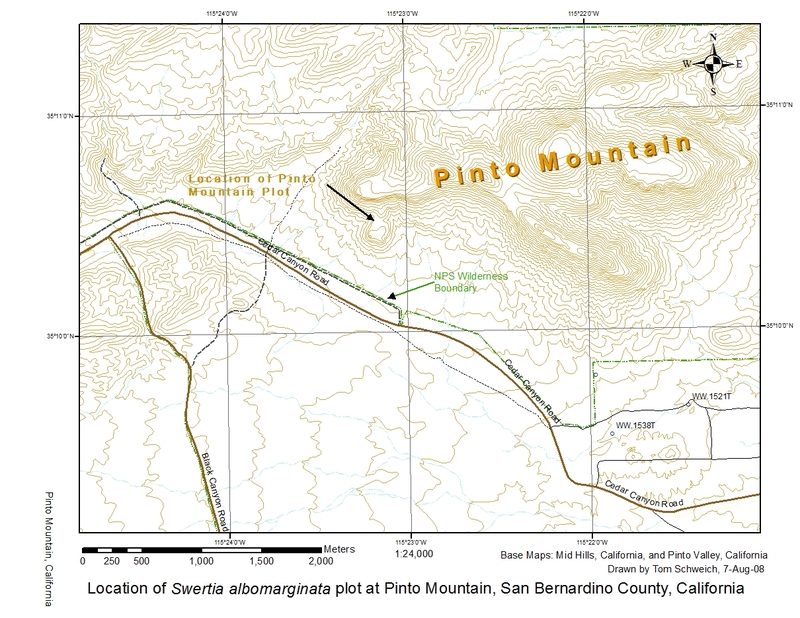 This plot is on the south face of Pinto Mountain north of Cedar Canyon Road. Autecology of Desert Elkweed Frasera albomarginata S. Watson (Syn: Swertia a.) Gentianaceae in the American Southwest: at Quail Rock Ranch.